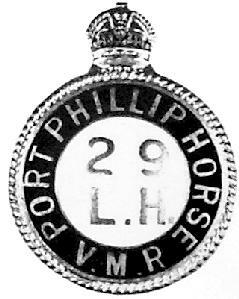 The 29th (Port Phillip) Australian Light Horse was formed in July 1912 with Troops from the 10th and 11th Australian Light Horse Regiments. The foundations of the Light Horse Regiments required the dedicated input from the pre-war Militia Light Horsemen. For the men in the Light Horse, it was an expensive experience and thus viewed as a rich man's club. The greatest cost was in providing your own horse. Horse in 1914 were just as expensive and time consuming to maintain as they are today. The pre-war Militia study is sadly a neglected area of study. This is mainly through lack of records, something that is highlighted whenever someone asks a militia based question. To rectify a small part, this is a series of individual portraits of the officers from the Victorian 29th Light Horse Regiment, and more specifically the Port Phillip Light Horse. Some of them served in the Great War and their service records are linked to their names. A Squadron - Melbourne, Kew, and Caulfield. B Squadron - Essendon, Bacchus Marsh, Melton, and Northcote. C Squadron - Geelong, Drysdale, and Werribee. D Squadron - Box Hill, and Ringwood. The number of men who went onto serve with the AIF after the declaration of war is highlighted by the links to the individual service files of each man who enlisted or was commissioned. Click on the link and the service file held by the National Archives will open for that particular individual. While the Alice Mills Studios was a major Melbourne studio in the early part of the 20th Century, it has disappeared with a few traces in other businesses. The above pictures are of men who provided the foundations for the Light Horse regiments that emerged through the AIF after 1914. Without their pioneering and self sacrificing work, the achievements of the Light Horse could well have taken a very different turn. 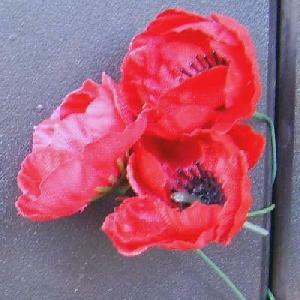 The Roll of Honour contains the names of all the men known to have served at one time with the 29th Australian Light Horse and gave their lives in service of Australia, whether as part of the Australian Imperial Force or another unit during the Great War. Major Charles Edward Merrett, VD, Tenure of command 1 July 1912 to 30 June 1917. Honorary Lieutenant Alexander Charles Michaelson, 12 August 1912. Lieutenant Colonel The Honorable CC Salmon, MP. Lieutenant Ronald John Livingstone Hildyard. Second Lieutenant Hector Norman Milne. Second Lieutenant Thomas Spencer Howard. Second Lieutenant Columbus Leigh Price. Second Lieutenant Albert Naples Anderson. Second Lieutenant Joseph Terrell Crowl.